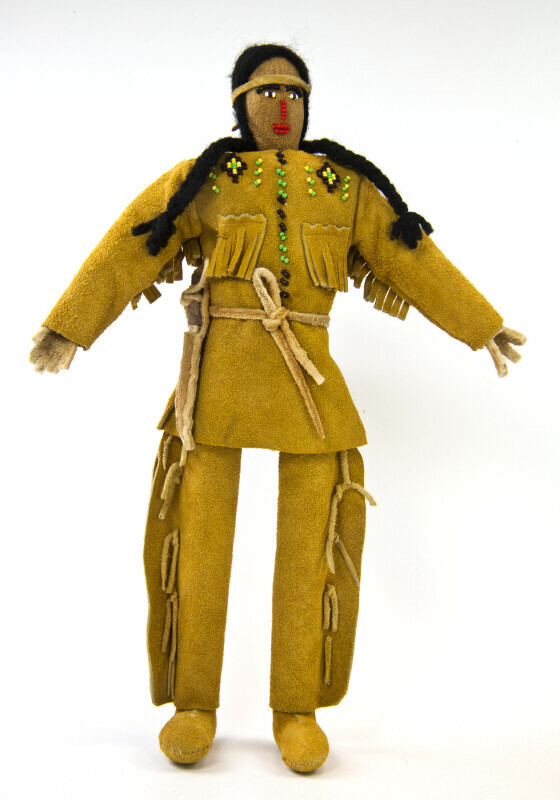 Handcrafted stuffed leather Indian doll. He has a hand beaded face on leather. He also has intricate beading on his leather fringed shirt. He has a leather band around his head and braided hair. His leather pants are also fringed, and he has leather moccasins on his feet. There is a wooden knife in a sheath on his side. Tag: "Indian Trading." The figure stands 12 inches (30 cm) tall.